The future is suddenly looking uncertain for two of the most important organizations advocating for human rights in the Western Hemisphere. The U.S. Department of State is considering whether to withdraw funding for the Inter-American Commission on Human Rights (IACHR) and its sister organization, the Inter-American Commission of Women (CIM). 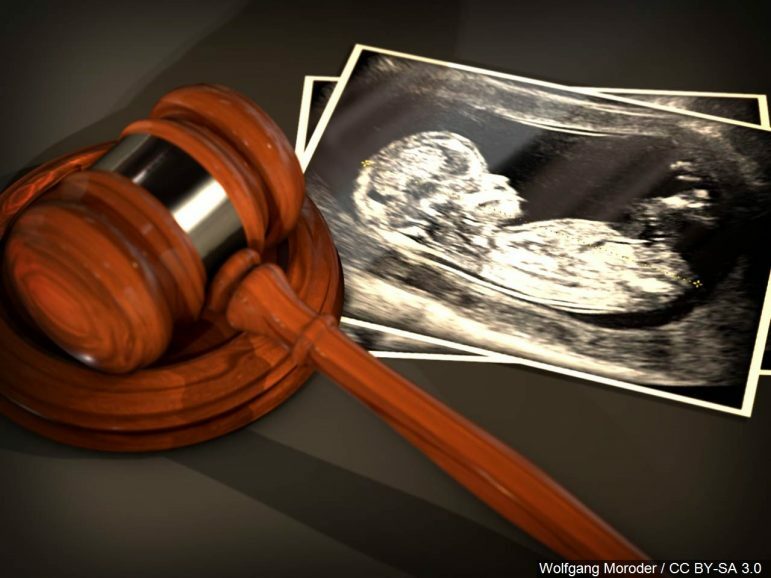 In December 2018, nine U.S. senators requested termination of funds on grounds that the two bodies “lobby” for abortion in Latin America in violation of U.S. law. While lacking any factual and legal basis, the senators’ request is consistent with the Trump administration’s policy of weakening and boycotting international human rights bodies and flouting multilateral agreements that hold the U.S. accountable for civil and human rights violations. Earlier this month, five former U.S. members of, or nominees to, the IACHR — including 2017 Trump nominee Professor Douglass Cassel — came to the defense of the IACHR and CIM in a letter to Secretary of State Mike Pompeo. They explained that the request to defund the organizations was based on a distorted understanding of the IACHR’s function and a flawed reading of the Siljander Amendment, which forbids the use of U.S. foreign assistance in any “lobbying” for or against abortion. Organizations, including the ACLU, have pointed out how Trump’s policy undermines systems of accountability and multilateralism that the U.S. has helped to create. Now, more than 50 organizations and experts are urging the State Department to maintain its support of and participation in the IACHR. The IACHR is a branch of the Organization of American States (OAS), charged with promoting and protecting human rights throughout the Western Hemisphere by monitoring country conditions, engaging with governments, and hearing human rights complaints against member states. CIM is made up of 34 delegates from each OAS member state, and, founded in 1928, was the first inter-governmental agency established to protect women’s rights. However, reproductive health work is just a drop in the bucket of the many crucial roles that the IACHR and CIM play. Among the most important, the IACHR has served as a forum in which the U.S. has been called to account for its role in perpetuating violence against women and other human rights violations. In 2005, Jessica Lenahan (formerly Gonzalez), a domestic violence survivor co-represented by the ACLU, filed a petition with the IACHR against the U.S. based on a local Colorado police department’s failure to enforce a restraining order against her estranged husband who had abducted her three children. He was later shot dead by the police, and the slain bodies of the three girls were subsequently discovered in the back of his pickup truck. While the U.S. Supreme Court concluded that Lenahan had no constitutional right to have the restraining order enforced by the police, the IACHR found in 2011 that the U.S. had violated Lenahan’s equal protection and other rights and failed to take reasonable measures to protect her and her daughters, in violation of the country’s human rights obligations under the American Declaration of the Rights and Duties of Man. Although the U.S. refused to recognize the IACHR decision on technical grounds, that same year the Department of Justice stepped up its investigations into law enforcement responses to domestic violence and sexual assault and subsequently issued a Guidance on Identifying and Preventing Gender Bias in Law Enforcement Response to Sexual Assault and Domestic Violence. Today, more than 30 local jurisdictions have adopted resolutions recognizing freedom from domestic violence as a human right. On the heels of the Lenahan petition, the ACLU filed an IACHR petition on behalf of domestic workers who had been abused and held captive by their employers, who were foreign diplomats and others beyond the reach of U.S. courts due to diplomatic immunity. The U.S. government responded to the petition, and the ACLU is preparing a reply, in consultation with survivor advocates and domestic workers’ advocacy groups. More recently, seven U.S. military service members who were sexually assaulted, harassed, or raped by fellow military personnel and retaliated against by their superiors after reporting the incidents have also filed an IACHR petition against the U.S. Although these women first sought relief in federal court, their case was dismissed on the grounds that the U.S. and the military defendants, like foreign diplomat defendants, are immune from suit. Their petition relies, in part, on the IACHR’s finding in Lenahan that the United States’ human rights obligations include a duty to act with “due diligence” to protect women against violence and that the failure to do so is a form of discrimination under the American Declaration. By cutting off funding to the IACHR, the U.S. would threaten the existence of a tribunal of last resort, one that has served as a forum for people whose voices and claims for justice might not otherwise be heard. Nor should the fact that this human rights body can be used to identify failures in the policies and actions of the U.S. government — or any OAS member government — justify eliminating its existence. The U.S. should continue supporting the IACHR and protect its independence as the leading human rights watchdog in the region. Anjana Samant is senior staff attorney for the Women’s Rights Project and Maiya Moncino is legal administrative assistant for the Women’s Rights Project.